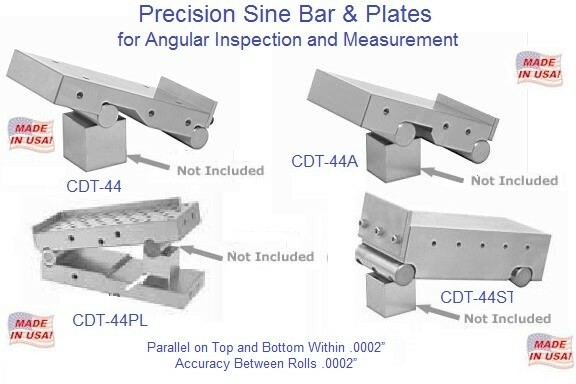 A Go-No gauge (or Go/no go) refers to an inspection tool used to check a workpiece against its allowed tolerances. Its name derives from its use: the gauge has two tests; the check involves the workpiece having to pass one test (Go) and fail the other (No Go). or even between different manufacturers. 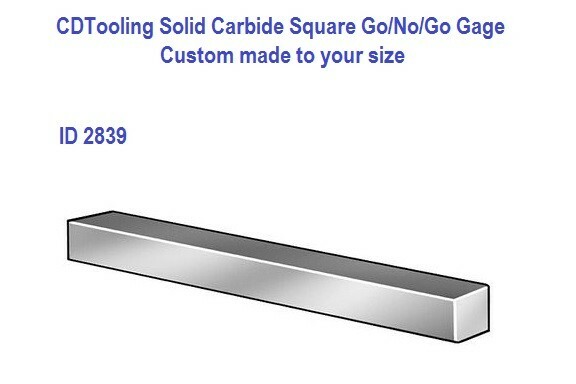 A Go NoGo gauge is a measuring tool that does not return a size in the conventional sense, but instead returns a state. The state is either acceptable (the part is within tolerance and may be used) or it is unacceptable (and must be rejected). and have few, if any, moving parts to be damaged in the often hostile production environment. These gauges are referred to as plug gauges; they are used in the manner of a plug. 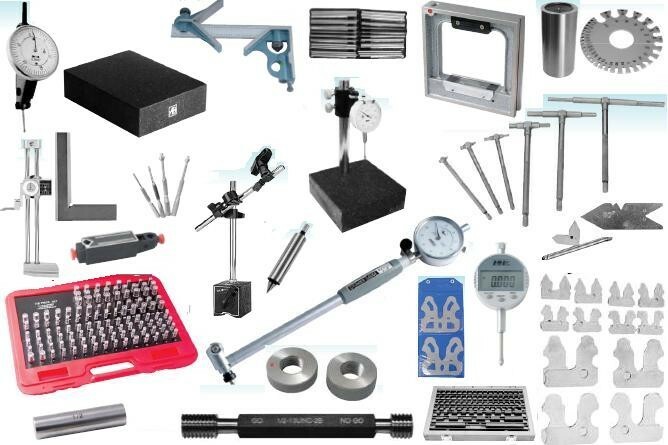 (obtained from a set of pin type gauge blocks) and a body that uses the collet principle to hold the gauges firmly. To use this style of gauge, one end is inserted into the part first and depending on the result of that test, the other end is tried. the labeled GO end will enter into the part fully, the NOT GO end should not. hole is 12.60mm and the upper size is 12.90mm, every size outside this range is out of tolerance. 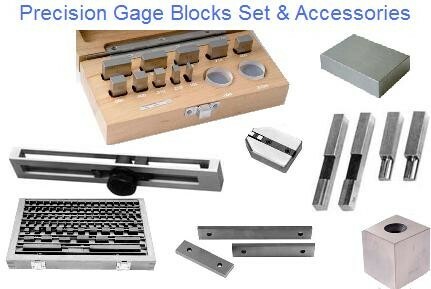 Gauge blocks (also known as gage blocks, Johansson gauges, slip gauges, or Jo blocks) are a system for producing precision lengths. The individual gauge block is a metal or ceramic block that has been precision ground and lapped to a specific thickness. 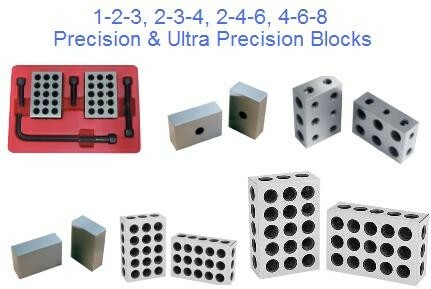 which means that several blocks can be stacked to create a desired length, for example, 7 mm + 10 mm = 17 mm. The blocks are joined simply by rubbing them against each other, which causes them to cling together (see "wringing"). 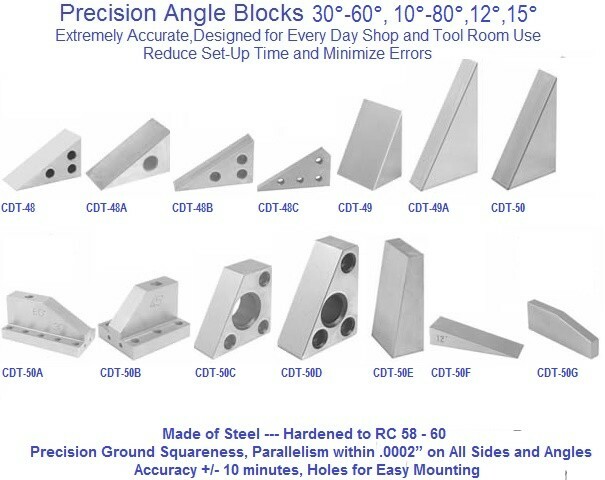 Consequently, a small number of gauge blocks can be used to create accurate lengths within a wide range. (or .3000 to .3999 inches in 0.0001 inch steps). Gauge blocks were invented in 1896 by Swedish machinist Carl Edvard Johansson. and dial indicators (when used in an inspection role). 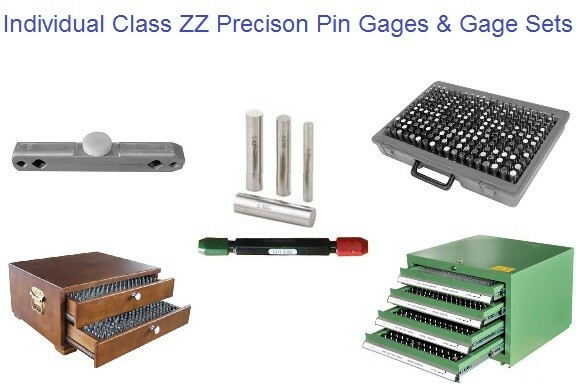 Gauge blocks are the main means of length standardization used by industry.